Experience the home of the Premier League Champions, Manchester City, at the Eithad Stadium this 2018/2019 season. Watch the English side’s attempt at holding onto the coveted Premier League title with the likes of Sergio Aguero, Kevin De Bruyne and David Silva working their magic on the pitch. Your Premier League experience will give you sensational views of the pitch on premium padded seats in block 209/210 so you can see the moment that Jesus taps in the winner! You’ll also get to enjoy access to the stadium lounge and have the opportunity to take advantage of the cash bar and food outlets available. 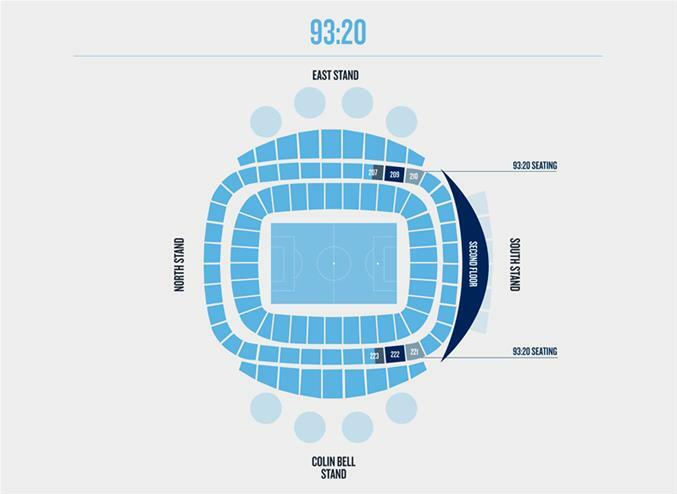 With a match of your choosing, there’s no better way to experience a Manchester City game and to help you remember the occasion, you’ll be given a complimentary match day program. If a match date changes from Saturday to Sunday or vice-versa there are NO refunds for any cancellations. If a match date changes from a Wednesday to Tuesday or Thursday there are NO refunds for any cancellations. Please bring photographic ID (passport/ driving licence) to the Hospitality Window within the ticket office when collecting match tickets.